Here at Drainage Superstore we are proud to offer a range of standard and flexible lead slates for your latest project. 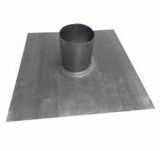 Lead slates are designed to create a completely weathertight seal on a roof, wherever a pipe goes through the roof. 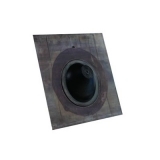 They can be used on tiled roofs, asphalt roofs, felt covered roofs and slate roofs. Flexislates are manufactured from code 5 lead, and has a bonded EPDM rubber sleeve. This EPDM sleeve gives the lead slate a more secure and weathertight seal that is securely bonded into position. Which lead slate do I need? Lead slates come in a range of sizes and pitches, so it is important to know the pitch of your roof before purchasing a lead slate. Alternatively, you can opt for a Flexislate, which can be used for a range of pitches due to the flexibility that comes from the EPDM sleeve.